We have been hearing a lot about vaccines in the news lately. There are many people calling for mandatory vaccinations for all people. They talk a lot about ‘herd immunity’. I have been trying to find scientific studies that prove that vaccines work, and that herd immunity is a fact and not a theory. I have been largely unsuccessful in this endeavor. What I have found is that there is a lot of questions about whether vaccines are necessary, or even useful. In many cases I am seeing that they can be harmful. This makes it very hard to determine who is right in this debate. I don’t want to be influenced by the media, whose bills are being paid by the pharmaceutical companies. I also don’t want to be influenced by the crackpots that say it is wrong just because the government is pushing it so hard. I want some facts. We are often told that vaccines stopped the diseases smallpox and polio. The original smallpox vaccine was developed before we knew anything about the immune system. It was based on an observation that women that milked cows didn’t get smallpox as often as women that didn’t. Someone started scraping the puss off of infected animals and people and scraping it into the arms or legs of people who were healthy. Some got sick, others didn’t. Of those that got sick more of them died than the number of people who got sick without the vaccine, but somebody declared it successful anyway. The Polio vaccine has a similar story. Before testing was prevalent any disease that caused paralysis was labeled polio. Early researchers were told that the formaldehyde used to inactivate the polio virus wouldn’t work, but it was used anyway. This led to live virus being injected, and a sudden rise in polio. Because of these vaccines they developed a way to accurately test for polio. 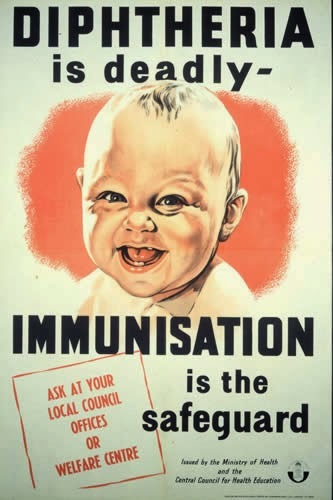 This automatically reduced the number of people diagnosed with polio, which the vaccine makers point to as a reduction caused by their vaccines. Another side effect of the polio vaccine was actually a spread of the disease and a mutation. Those that were vaccinated spread it to those they came in contact with. This is still happening today. When someone in the military is being sent overseas they are given a great number of vaccines. They are then told they cannot go home to their families for fear of making them ill. They are advised to wash their clothes separately from those of their families for up to a month. These vaccine recipients can be carriers of the disease without exhibiting any symptoms. The flu vaccine is one we often hear about. The CDC is admitting that it is only 47 to 62 percent effective. Independent researchers are showing the effectiveness is closer to 7%. If this were a computer you would throw it out the window. If it were completely harmless we might just say it is a waste of money and let it go at that. The problem is that it isn’t harmless, and the manufacturers admit that they don’t test it in any way. Because the military can order their employees to take vaccines you would think a Navy ship would be one of the safest places during a flu epidemic. You aboard one ship 25% of the crew came down with the flu, even though they were vaccinated. What happened to herd immunity? Some of the problems with these vaccines are that they contain insect and animal DNA, foreign proteins, and strange substances designed to ramp up the human immune response in ways that are not healthy. Like sugar that ramps up your energy levels they are followed by a crash later. Other things in these vaccines are called Neurotoxins, because they actually attack the nerves and brain cells. These include thimerosal, aluminum and formaldehyde. The CDC admits these additives cause brain inflammation, brain damage, and possibly death. The brain damage looks a lot like ADHD, autism and Alzheimer’s disease. Some doctors are pushing hard for pregnant women to get the flu shot, while others are warning that it can be extremely dangerous for both the mother and child. One of the concerns is that the thimerosal crosses both the blood-brain barrier as well as the placenta. The mercury contained in the thimerosal is known to be harmful to the fetus. A disease known as acute disseminated enchalomyelitis or ADEM has been linked to vaccines, especially the flu vaccine. It attacks the myelin sheath surrounding nerve fibers. This is the same thing that happens in MS. It can lead to loss of vision and paralysis. Vaccines do not provide lifetime immunity like they were first thought. They do impact the immune systems in other ways. There is much evidence that the three fold increase in childhood vaccines may be causing a corresponding increase in autoimmune diseases in children. These include things like autism, which thirty years ago affected one in 10,000 children, and now affects one in fifty. Many people believe it is a combination of an absence of good gut bacteria combined with the impact on the immune system by the vaccines that are causing this increase. With all the antibiotics in our food and those given for minor illness many children do not have the strong gut bacteria that used to be normal. At this time there is no law forcing a person to take vaccines. The laws say that children cannot be in a public school unless they have been vaccinated or have been exempted from those vaccinations. Many school districts only allow exemptions on the grounds of religious beliefs or medical necessity. There are those that want to take even those exemptions away. In the adult world there are many businesses that tell their employees they cannot come to work unless they are up to date on their vaccinations, including the annual flu vaccine. This is taking away their freedom to make medical decisions for themselves. They are demanding that we risk potential harm and even death because they feel they will suffer less convenience due to potential time off needed if we become ill. There has been enough vaccine injury evidence that there is a new agency of the government to handle all the court cases. One reason this is needed is that the government has said that the vaccine manufacturers are exempt from any liability for the use of their products. By their own admission their products are “unavoidably unsafe” (their words) and they should not be held responsible for the damages done by them. This program is not working as expected, as cases are taking years to be resolved. The money for these settlements comes from a tax paid by the patient every time they receive a vaccination. This is a debate that will not be settled in the near future. Knee jerk reactions based on fear should not take away a person’s right to take charge of their own health. We need the freedom to make these decisions based on our own understanding and the advice of our doctor, not a mandate from the government.